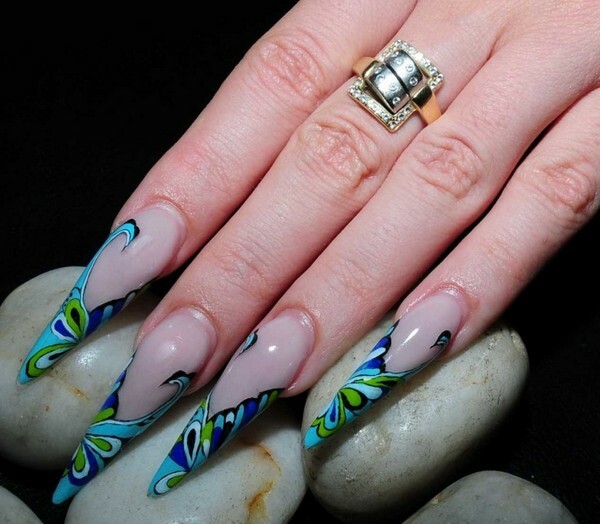 The latest nail art trends in 2014 and 2015 include tribal nail art designs. 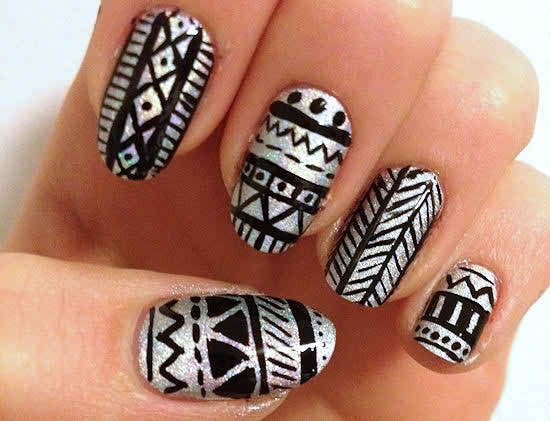 Among the now many popular nail art designs on the market, tribal nail art is particularly interesting and not too difficult to make. 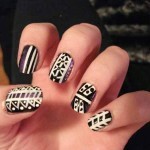 The designs are particularly popular among girls. 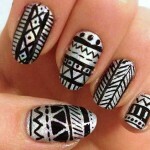 The best and important thing about tribal nail art designs is their uniqueness and adaptability. 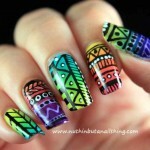 For applying tribal nail designs, you really just depend on the same simple designs and change the colors. The main steps are given below. 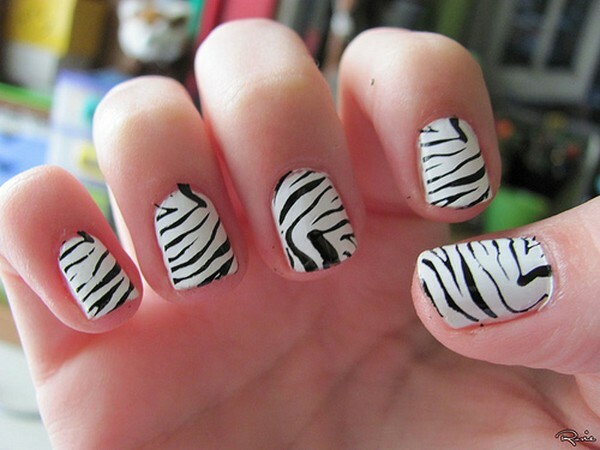 The first step is that you just paint your nails by using base coat. 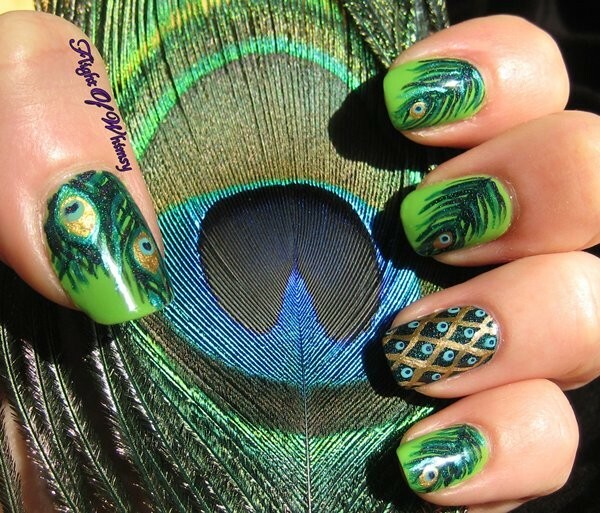 Second, choose a thin brush according to the choice of your nail color. 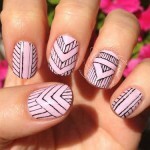 The third step is that you should complete the zigzag line at the end side of your nail. 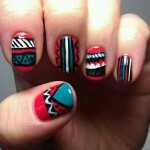 Moreover, you should draw a straight line at the top of your nail. 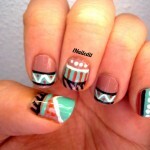 The next step is that you should take another nail polish color and again use the thin brush. 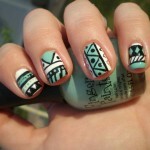 Then paint the straight line. 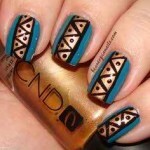 Next, add dots around the design of zigzag lines. 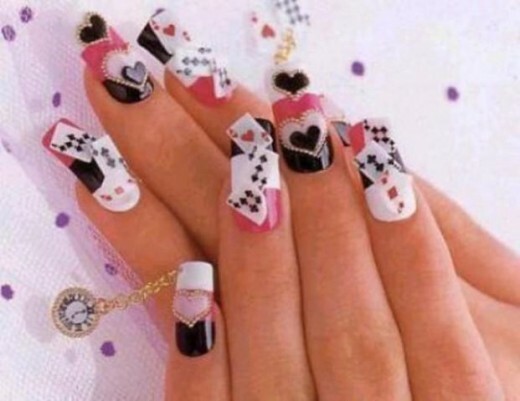 Now you should take a cleaning brush and then dip into the nail polish remover and then clean the remaining part of your nail. 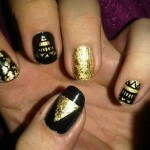 Repeat these steps in order to make the design on your remaining fingernails. 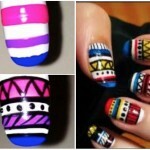 Below are a selection of pictures of tribal nail art designs to inspire you.